Posted in News on 7/01/2019. Innovation Voucher is an initiative by Enterprise Ireland to help local businesses grow and develop their processes through work with research centres, such as RIKON, who have been helping small and medium enterprises for more than 10 years. To learn more about Innovation Vouchers, click here. 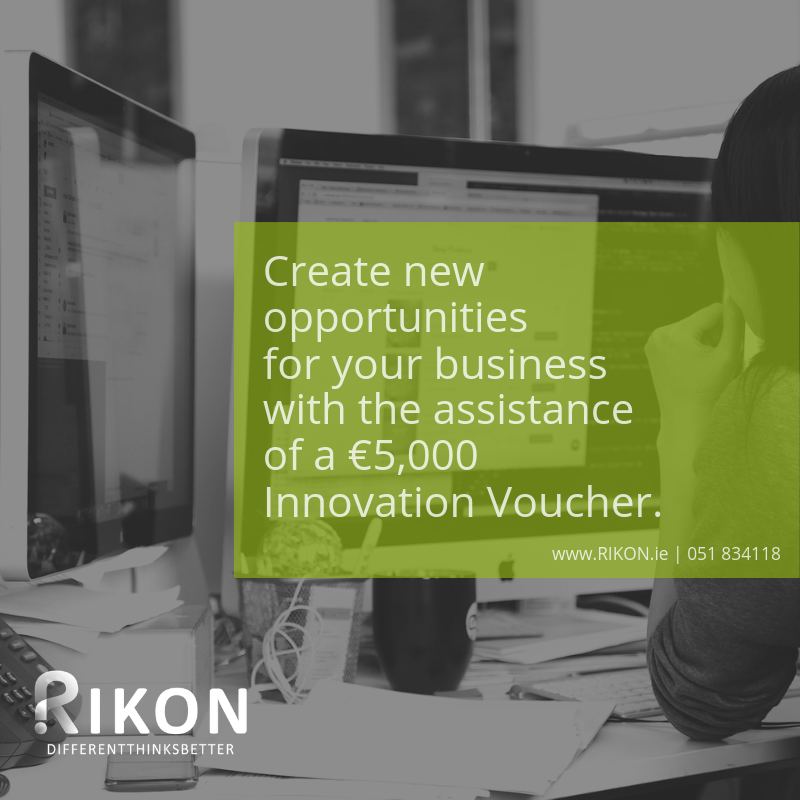 RIKON can assist Limited companies apply for Innovation Voucher funding worth €5,000 to explore a business opportunity and improve their processes. Can Innovation Voucher help your business? Take a look at what we did for our past clients. The call will open for submission of applications from Wednesday, 9th January to Wednesday, 23rd January at 3 pm. What can RIKON do for your business?